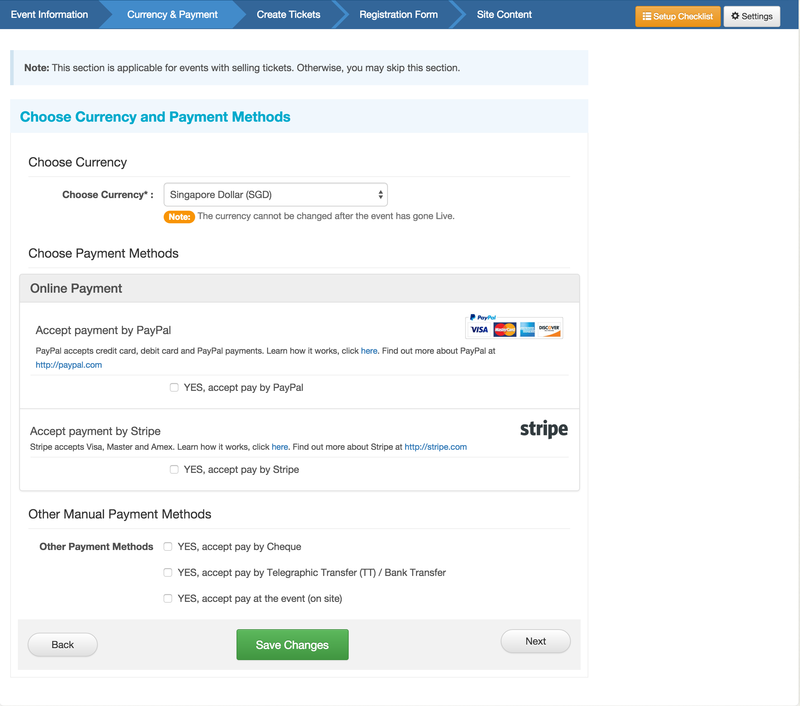 In this section, you get to choose the modes of payments you will accept as well as the currency for ticket payments. Note: If your event is free entry, you may skip this section. By default, the currency will be set to Singapore Dollars (SGD). Note: Once your event goes Live, the currency should not be changed to avoid confusion amongst your attendees. For more details on each payment method, click on the respective method you wish to know more about. When you are done setting up the payment details, click on “Next”.